For many people, chile peppers are simply too painful to eat. 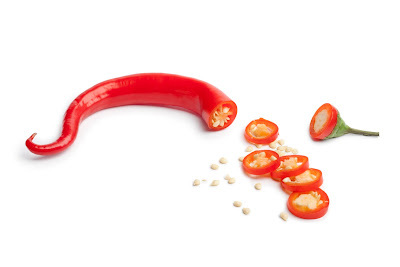 One tiny bite of a too-hot pepper can cause the proverbial smoke to shoot from one's ears. But for many others, chiles are a gift from heaven...or, perhaps more appropriately, hell. Either way, they are otherworldly. There exist chile clubs, magazines, and countless web sites devoted to the revered capsicum. Connoisseurs of chile peppers judge them by the amount of bite a pepper has, how long the burn lasts, and the flavor. But the benefits of eating chile peppers lie not only in the oral experience but also in their long-term effects. Chiles are fantastic cancer-fighters because they contain huge amounts of vitamins A and C, as well as beta-carotene and flavonoids—phytochemicals that go after those horrible free radicals. Vitamin C is especially protective against oral, esophageal, stomach, cervical, lung, rectal, and breast cancers, and it boosts immunity, which helps the body fight cancer. One pepper can have as much vitamin C as an orange, red and orange ones having more than green. You may have heard that eating chiles will clear up your sinuses. This is not just a joke referring to their heat; they really do aid in breathing and clearing up respiratory problems, such as sinusitis, asthma, and hay fever. This is due to the vitamin C, flavonoids, and capsaicin in chiles. Vitamin C acts as an natural antihistamine, and is believed to reduce inflammation and swelling of the mucous membranes that line the sinuses. Flavonoids also act as antihistamines by inhibiting the release of histamine (which causes congestion). Capsaicin has been seen to reduce and break up mucus in the nasal passages and lungs. So consider eating a chile pepper the next time you have a cold—it will act as an expectorant and decongestant, as well as an antibacterial and antiviral. It has been suggested that chiles may help prevent bronchitis and emphysema. They may also help relieve earaches by unclogging the ear canal. As I just mentioned, chile peppers contain a chemical called capsaicin. 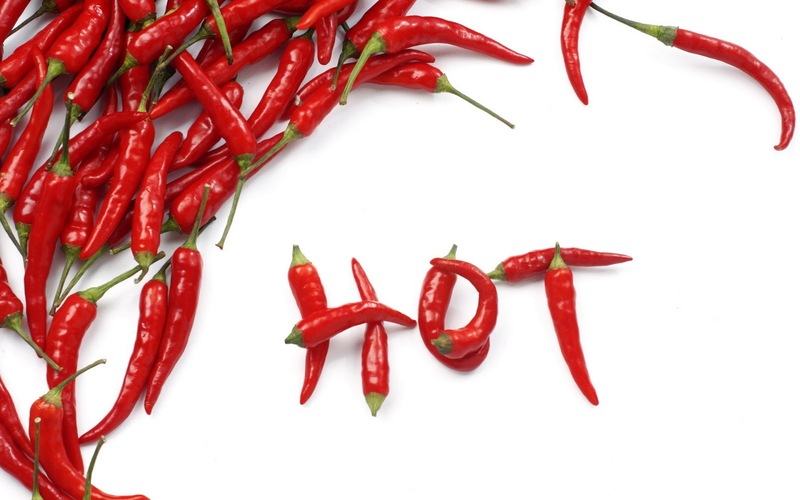 Capsaicin irritates the pain receptors in the mouth, nose, and throat, causing the familiar burning sensation. But it is capsaicin that, ironically, relieves the pain brought on by many ailments. In The Nutrition Bible, Jean Anderson and Barbara Deskins explain it this way: "Capsaicin depletes the nerve endings' supply of substance P, a messenger of pain that shoots impulses to the central nervous system." In other words, the nerves that carry pain are short-circuited. Put this together with chiles' abundant flavonoids, which have antiinflammatory properties, chile peppers wind up being a great treatment for such conditions as arthritis, osteoarthritis, rheumatism, lumbago, neuralgia, headaches, bunions (rub cayenne powder right on them! ), and post-surgical pain, particularly for mastectomies. • Help with stomach and intestinal problems, like dyspepsia and colic. While some people find that peppers upset their stomachs, there is no scientific proof that they actually do. Furthermore, studies have shown that capsaicin may protect the stomach from potential damage—such as from aspirin and alcohol—and perhaps even ward off stomach ulcers. • Help with disorders of the kidneys, spleen, and pancreas. • Help treat and prevent outbreaks of cold sores and herpes blisters. • Help prevent heart attacks or strokes caused by blood clot because of their anticoagulant properties. • Help reduce bad cholesterol. Supposedly, eating chiles produces a sense of euphoria. According to Chile Head (a chile web site), this is because the body releases endorphins into the sytem to relieve the pain caused by the chiles, resulting in a natural high. You should be aware, however, that some chiles have been reported to have hypoglycemic properties. Chiles that remain in contact with skin may cause blisters or dermatitis. And it has been noted that excessive consumption may cause problems with the kidneys or liver. Your body temperature will rise. You will perspire and salivate more after eating chiles, which may or may not be such a good thing, depending on your circumstances. Chile peppers vary widely in degrees of heat. They are rated by the Scoville Scale, invented in 1912 by Wilbur L. Scoville. They range from mild (such as Mexi-Bells and Anaheim) to medium (such as Jalapeño and Serrano) to extremely hot (such as Cayenne and Tabasco). Two of the hottest chiles in the world are Habanero and Scotch Bonnets, which look and taste almost the same. To give you an idea of just how hot they are, they are considered to be 30 to 50 times hotter than a Jalapeño. In terms of Scoville, a Jalepeño has a rating of 4 (3,500–4,500 units); a Red Savina Habanero has a rating 10 (350,000–550,000 units). The heat in chiles comes from the capsaicin. To decrease the heat, remove the seeds and veins. You could also cut up chiles and soak them in salt water for at least an hour. Of course, chile connoisseurs would consider this sacrilege! After touching chiles (preparing or eating them), you do NOT want to put your hands to your nose, eyes, or mouth. You will be very sorry you did. Wash your hands very well with soap and water after handling them. NEVER drink water to douse the fire in your mouth after eating a too-hot chile. Capsaicin is an oil, and water will only make "the burn" worse. Just like you cannot put out an oil fire in your kitchen with water, you cannot put out a chile pepper fire in your mouth with water. You're better off eating bread or other starches, such as tortilla chips or rice. Milk and other dairy products would help too because they contain casein, which separates capsaicin from nerve receptors. Some people say drinking tomato juice or eating a fresh lemon or lime helps ease the burn. You can indulge in chile peppers in the fresh, dried, and powder forms. For medicinal purposes, you can use the powder to rub onto arthritic joints or any painful spots, or make or purchase an ointment or salve (very popular in some countries). Cayenne pepper also comes in capsule form. Cayenne tea is an excellent alternative to cold medicines and for reducing fever. Sprinkling some into your socks or shoes supposedly keeps your feet warm. Speaking non-scientifically, some religions believe that cayenne pepper can break bad spells and ward off people who wish to harm you. In witchcraft, adding cayenne powder to love potions ensures that your relationship will always be spicy and hot. 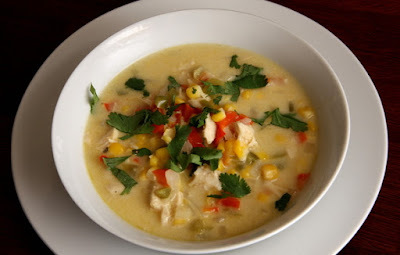 It is said that being a chile lover is much like being a drug addict: The more you use, the more you need to satisfy the desire, and the level of heat that you can take escalates. In light of that, it's a good thing that peppers are so good for us. Below are a few recipes that are sure to stoke your chile pepper fire. Enjoy! This novelty was first served in 1988 for the symposium on wild chiles at the Desert Botanical Garden in Phoenix and at the Fiesta de Los Chiles at the Tucson Botanical Gardens. Combine all ingredients and mix thoroughly in a blender until green flecks of the chile peppers appear throughout the ice cream. Return mixture to the freezer to refreeze. 3. Bring to a boil, stirring frequently with a whisk. 4. When the mixture starts to thicken, slowly add small amounts of milk to correct the consistency, being careful not to add too much. 5. Let simmer for 15 minutes on low flame. 6. Season with salt and pepper as needed. Add more cayenne pepper to taste. Purée first 6 ingredients in blender. Season to taste with salt and pepper. (Can be made 1 day ahead. Cover and refrigerate.) Toss bell peppers, jicama and dressing in large bowl to coat. Season slaw with salt. Cover and refrigerate until vegetables soften slightly but are still crunchy, about 4 hours. Mix chopped parsley into coleslaw. Serve at room temperature.